NJPW has recently been adding more English language content to their YouTube channel. One of the new web series entitled ‘The Wire’ has posed an intriguing question to the fans of New Japan. 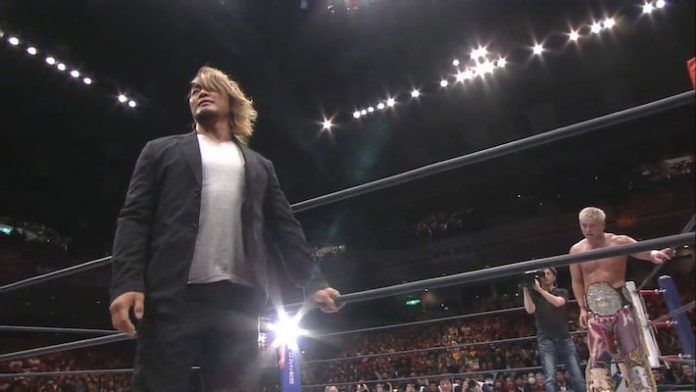 Will Hiroshi Tanahashi and Kazuchika Okada form an alliance? ‘The Ace’ of New Japan Tanahashi broke up an attack by the Firing Squad on Okada at the ‘Road To’ Power Struggle event on October 27th. Tanahashi stormed the ring and attacked Jay White, Tanga Loa and Bad Luck Fale. Tama Tonga then joined in the fray and got taken down by a double back elbow by Okada and Tanahashi.